We offer three unique spaces for showers to accommodate groups from 10-200 guests. The Parlor Room offers a more rustic feel with a stone fireplace and cozy sitting area, rental of this space includes use of our screened in porch that offers views of the rolling fields, The Ballroom is a more timeless elegant space featuring rich wood paneling, ivory hand textured walls & shimmering chandeliers, The Library Bar & Adjacent Conservatory area is a stately space with rich mahogany wood paneling, high ceilings, and views of the fields. 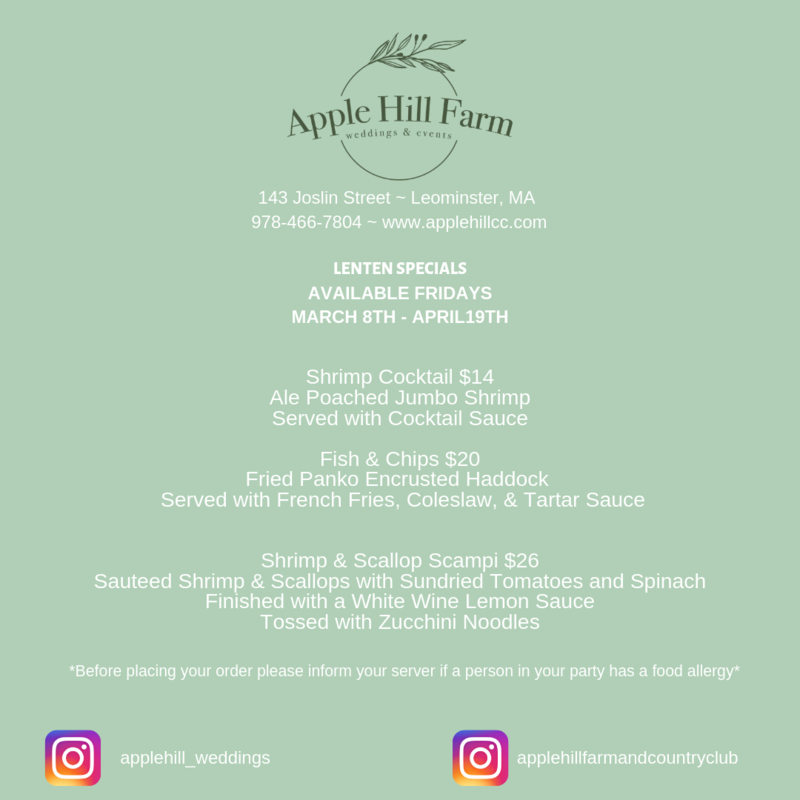 Our dedicated banquet staff is here to assist you in the entire planning process from room selection, layouts, menu options, bar options and of course can assist you with decoration ideas! All of our showers are a period of four hours with an hour beforehand for setup. The facility fee is dependent on the space requested and includes use of the facility, table linens, linen napkins & room setup. Bar service is prorated based on the number of guests and there are a multitude of options from cash bar to hosted bar to signature drinks and a combination thereof! 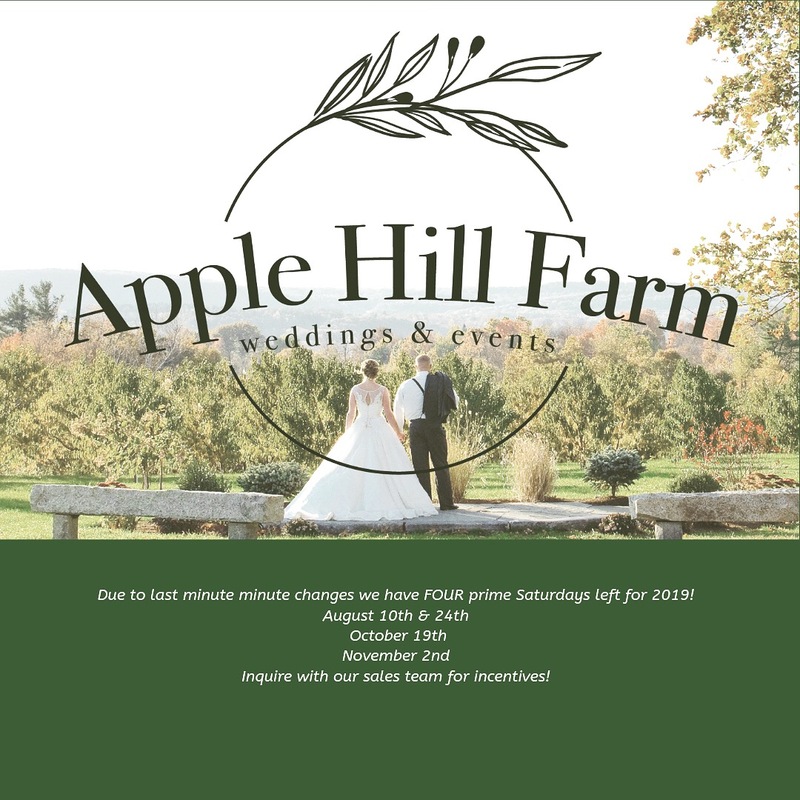 We have put together our most popular shower packages which can be found here Apple Hill Farm Shower Package however as with all of our events we are more than happy to customize a package that suits your needs.